Your potential new employer has invited you to a panel interview and tells you that you will be meeting with several members of the team. A panel interview is an interviewing situation where 2+ interviewers are present to interview a candidate. Usually, various types of people and departments from an organization are participating throughout the interview. Do you suddenly grasp your chest in fear? Does the air quickly start to drain from the room? Or are you as cool as a cucumber? Panel interviews can be scary as you must impress a room full of people rather than just one or two. Since questions are often being asked from different team members and viewpoints, questions asked by a panel can be broad and complex. How do you ace the panel interview? You probably just face-palmed your forehead and the words ‘duh’ came tumbling out of your mouth but hear me out. You are a Veteran and that makes you the most unique type of candidate. 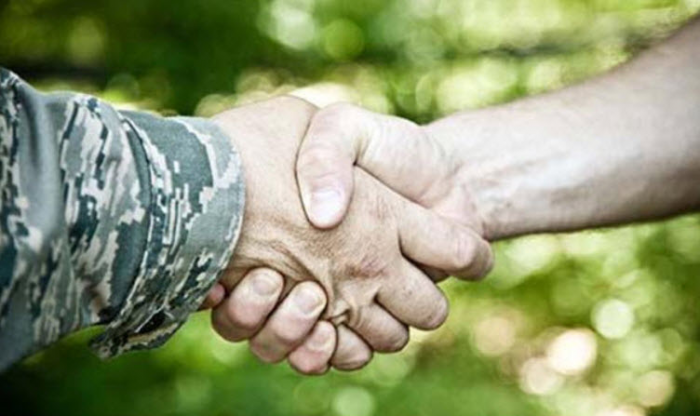 Veterans have several unique characteristics that make them an asset to any organization. 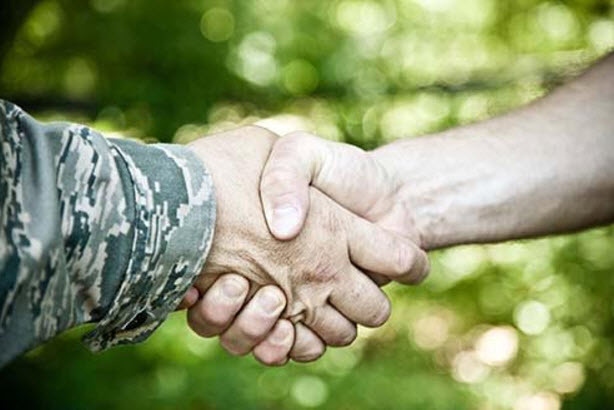 From collaboration and teamwork to problem-solving and leadership abilities, it’s no wonder so many organizations have committed to hiring Veterans. One of the things that really sets Veterans apart is their commitment to service. They are very conscience about the mission of the organization and they work to get the job done in the right way. Employers find it comforting to have someone who is committed to the team, able to work under pressure, and ready to be a leader. There are so many employers that are excited to hire Veterans that there are dedicated websites that list out specific Military Friendly employers. Not everyone has Certified Career Services Professionals ready and willing to mock interview you every time a potential interview comes your way. However, there are things that you can do to create more confidence and help you prepare. Review practice interview questions and practice responding to position specific questions. The internet provides a plethora of resources specific to different interview types, as well as industry specific interview questions. If you are recently transiting out or have not yet held a civilian position, it is important that you also practice translating your military experience into Civilian terms. There are also organizations that can lend a hand from resume writing to translating terminology or even networking on your behalf with Military Friendly employers. Don’t be afraid to ask the HR representative or person organizing the interview for a list of who will you’ll be interviewing with and what their role with the organization is. Be sure to have questions prepared so when it is your time to ask questions of the panel participants that they are well thought out and organized. Research the organization and learn as much as possible about what they do, how they contribute to their industry and what their mission consists of. Don’t forget to make sure that your resume references are up to date too. The same references that were great for you a month ago might not be so great for you today. You’ve heard it a thousand times, show up on time. Chances are that when you arrive that you will be brought to a conference room, only bring the essentials and don’t forget to put your phone out of sight and out of mind. When you are introduced to the panel; take the time to shake every person’s hand. Don’t be afraid to extend your hand first. You’re conveying that you are excited to be there and ready for this opportunity. First impressions also include your internet presence. Make sure that you have your social platforms in order before you start seriously job searching. Make a Connection with All the Interviewers. As the panel starts asking questions, you will be inclined to make eye contact with the person who asked you the question that you are answering but equally important is scanning the room to make eye contact with everyone else. This will allow you to get a “read” on each of them as well as engaging them in your answer. Don’t be afraid to take notes during your interview for any follow up questions you might want to ask. As the interview comes to conclusion make sure that you personally thank each participant, shaking their hand and reinforcing your interest in the position. When you get home, you need to send out a thank you note to each interviewer. This can be and has been a component that sets candidates apart. Don’t send out the same cookie-cutter thank you to everyone; customize the thank you note leaving them with one last positive impression of you. Jenny Nichols lives and works in Holly Springs, NC. She holds an advanced education in Higher Education and Student Development.